This unruly cult classic features song lyrics throughout and now includes a glossary and a bandography. 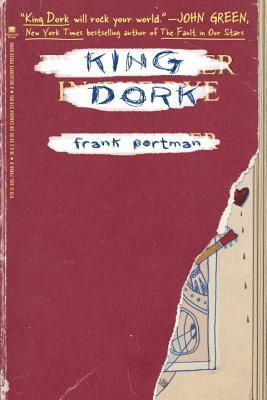 And look for the sequel, King Dork Approximtely, available now. Frank Portman (aka Dr. Frank) is also the author of Andromeda Klein and the singer/songwriter/guitarist of the influential East Bay punk band the Mr. T. Experience (MTX). MTX has released about a dozen albums since forming in the mid-1980s. Frank lives in Oakland, California. Visit him online at frankportman.com, look for him on Facebook, and follow @frankportman on Twitter.